Cascade – a universal haircut: it fits almost any type of face, and thin hair gives volume. It became popular at the beginning of 80-ies, but to this day does not lose its relevance. The main advantage of the "Cascade" haircut is that it makes even the thinnest hair volume. Haircut has many options. For example, a cascade of strands can begin at any level: from the top of the head, or from the chin. Each subsequent strand will be longer than the previous one, so the hair in such a haircut resembles a waterfall. The cascade can be gentle and light or sharp and stepped. Another type of haircut "Cascade" is "Double cascade." The essence of this technique lies in the fact that each step of the ladder of hair is separately milled, and the roots are calibrated, which maximizes the volume of hair. Cascade looks good on any length of hair. This haircut can be done both on long hair, while not losing any length, and on short and very short hair. The long cascade literally animates the hair. It can be worn with different kinds of bangs. For example, chubby girls stylists strongly recommend a slanting bangs, and girls with an oval face fit an average cascade and a thick straight fringe. One option cascade for long hair – this is a haircut "Little Tree". It gives the hair a well-groomed look and dynamism. With such a haircut, you can twist the hair inside or out, depending on the type of face. 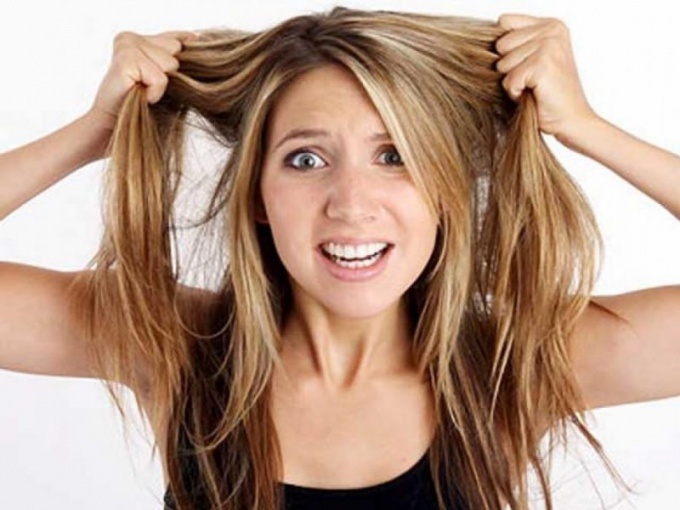 If this is an evening image, and the hair is gathered in a high tail, then there is the possibility to release several strands along the face. This hairstyle has not gone out of fashion for several years, remaining the same feminine and, at the same time, very simple to perform. Cascade for medium length hair allows you to make even more interesting and unique hairstyles. You can stretch the hair with a special iron for styling, giving the contours of the hairstyle a strict clarity. If the girl has a massive chin, then curls curled up inside her, and the narrow face can be visually expanded, if you twist the curls outward. In addition, you can lay your hair with curlers and get an unusual romantic image. The whole charm of the hairdress emphasizes the coloring of the hair in light colors. Also, the cascade looks great with melirovaniem. Light strands give visually even more density to the hair. Along with the cascade, the haircut "Bob" is a very actual haircut. The essence of this hairstyle is that behind hair cut very short, but closer to the face their length increases. Haircut became popular due to Victoria Beckham. Bob can be of various lengths: both to the middle of the ear, and to the chin. For this hairstyle, characteristic contours are characteristic. Another popular and universal hairstyle at all times is a square. It has a variety of options, and it is suitable for any type of face and hair structure. The classical length of the square is up to the middle of the neck, and the maximum is to the shoulders.